Resiliency is not a fixed target, but an adaptive strategy that links change with challenge. There are technical solutions, such as elevating structures or constructing structural defenses at either the project or community scale, that will allow people to resume prior behaviors. There are also adaptive solutions that encourage new behavior. Adaptive resiliency inspires changes in human behavior as well as physical environment to address the problems of climate change. Architects must find ways to reinhabit coastal regions with continuing awareness of the consequences of our decisions about where and what to build. It is about change, and not simply persistence. Existing communities have tremendous value. However, some communities have low potential for adaptability – and in these places, adaptation will require retreat. Nonetheless, we cannot abandon all coastal areas, as residents of Mississippi and Louisiana are uniquely positioned to attest. Many unique communities with long histories will find ways to adapt as coastlines are threatened, and these are the places where much is at stake. The crux of the design opportunity occurs where there are dense populations and great value in the constructed assets, but also where there are high risks from coastal flooding and sea level rise – at the intersection of risk and value. All sites have risks. Baseline risks affect every place, fairly evenly, with a wide range of natural and manmade hazards; the standard regulations for design and construction generally cover these risks and offer safety factors for multiple consequences at once. 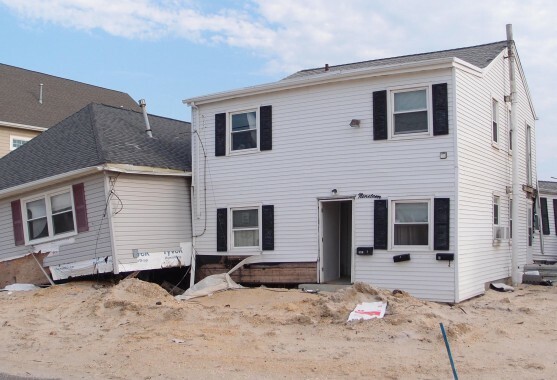 Some sites have additional risks: the exponential effect of higher population densities, the pending inundation of low lands and coastal edges, and the risk of interruption or isolation as a result of aging infrastructure. These risks indicate the precariousness of inhabiting these places, and how close the current systems are to the threshold of collapse. Any work along threatened coastlines must offset the risk against the benefits of working within these high value communities: the age of the community which indicates cultural value that has accrued over time, the intensity of occupation (jobs and population), and the existing and potential connectivity of the communities to the region as a whole. The memory of the past offers a stabilizing effect on residents, but this can also work against their ability to change. We must determine the amount of resistance in order to identify the areas where there is latitude to make modifications without losing identity within these places. Unlike agriculture, architecture is not concerned with “maximum yields,” but in the quality of life. Resilience aims to find equilibrium following perturbations, and adaptive resilience encourages learning from mistakes to increase stability and the sustainability of what we build. If we build for change, we are constructing the capacity to adapt within our communities at the time when they need it most.